While the products that help us get to the finish line faster are the AeroGeeks’ first love, the products that ensure we make it there safely are a very close second. We have shared our thoughts on many of the new cameras out there including the Rideye Black Box Camera. And just two weeks ago we shared out thoughts on the XLAB training strobes—a light specifically designed to fit an aero seat post. Now we get our first look at the Fly6 – a product that combines the above in a package that promises to both help you get noticed and notice the world around you. 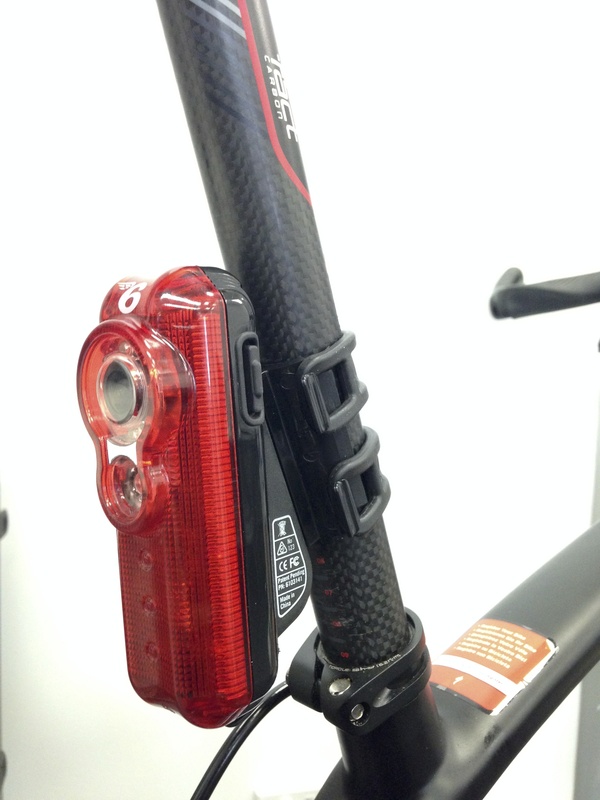 The Fly6 is a combination tail light and HD camera. The camera records at 720p with a claimed 5+ hours of record time (using the included 8gb microSD card). The footage itself is recorded in a continuous loop, and with the included card, will record roughly 2 hours of footage. In the event of a crash or other incident, the Fly6 can automatically detect that your bike is down for more than 3 seconds and then continues to record for one hour (to help catch any post-incident details). The light currently has an output of 9.8 lumens (though the final version is projected to be closer to 15 lumens) and has two flashing options and 4 dimming settings. While not specifically water proof, the Fly6 uses Nano-tech to help ensure that a few wet rides won’t break your brand new light\camera (and hold it to IP55 standards). 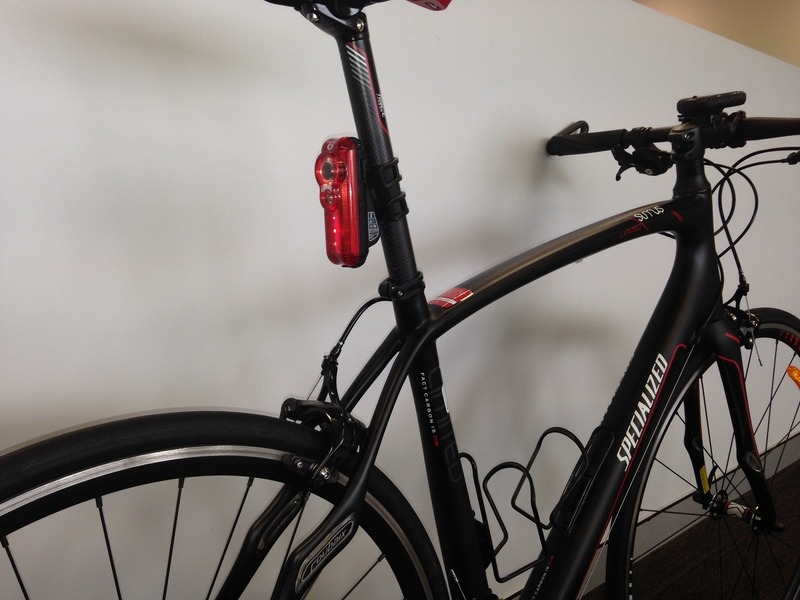 The Fly6 ships with both mounts for a standard seat post as well as aero seat posts (a huge plus in our eyes). Why the name Fly6 you as? It comes from a combination of Fly (as in a “fly on the wall” listening where you can’t normally watch or listen) and the military term for watching your back – watching your 6. Fly6 is currently in the middle of its KickStarter campaign. While the MSRP for the Fly6 will be $169 AUD, there are still opportunities to get one on KickStarter for $129 AUD. You can check out their campaign here. 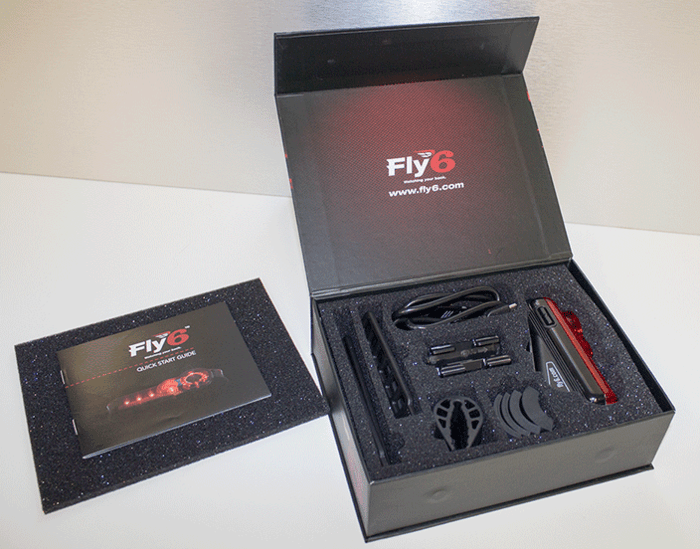 We are looking forward to some serious time with the Fly6 and having it watch our backs. We think this might be the perfect companion for those long 80-mile rides on very empty roads. Make sure to check out their KickStarter campaign and if interested get involved while the opportunity is there.